The two staple methods in the craft of sculpture have already made their way into mainstream art early on in history. 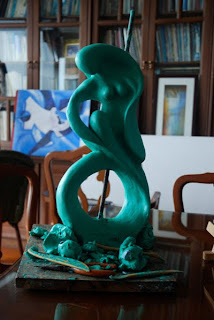 These days, despite the emergence of newer contemporary forms of sculpture (such as wire shaping and glass blowing), casting and carving dimensional sculptures still serve as the most popular techniques of the art. Between these two types, how do sculptors do research about which one to explore, depending on their situation. Here’s the scope on their unique traits. Working with clay creates versatility. Form, balance and composition are all governed by the artist’s ability to naturally render the material into his vision. Clay presents an excellent medium for beginners and even masters of the art, because it is faster to use, requires no power tools to shape, and is readilly available. The best advantage of using clay is the fact that it can be remoulded in case of mistakes. 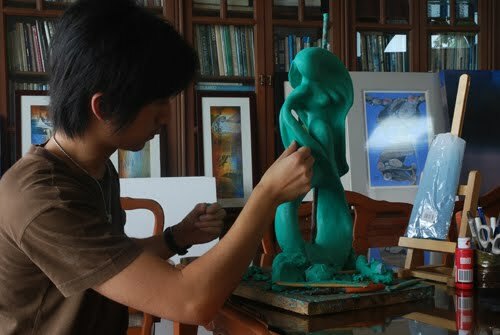 The difficult side of using clay, is that depending on the type used, there may sometimes be a second process required. In the case of cast sculpture, one may need to use plaster or silicone to create a negative mold by which to duplicate the model in a different material. In the case of porcelein sculpture, glazing and kiln firing need to be done for the piece to acquire that final stage of completion. Sometimes, cast sculptures end up with a very pale, cement like finish, entailing the need for a third process, the finishing. There are several methods for this, but the most basic is painting or topcoating. After this process cast works usually have a good edge to their enamel and look. 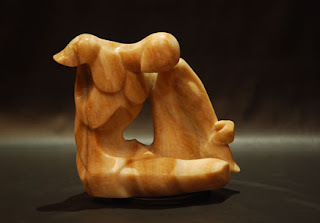 The oldest form of fine sculpture, the process of stone carving or chiselling entails both physical endurance, as well as heavy duty tools (for easier working). The finish of most stone sculptures is a natural, sought-after look that sculptors can use to give more impact to the work’s visual majesty. This difficult, yet timeless method makes use of an artist’s labor, either for hand chiseling or using a power drill/grinder. The choice of materials range from softer substances such as adobe and wood, to harder ones like marble and precious stones. It may seem llike the hard work makes this method a no-no for beginners, but the advantage is that despite all the effort and tools needed, this technique only has one major stage; carving the work. Afterwards, a little cleaning and buffing can be done to enhance the sculpture’s natural material to its full visual potential. In the Philippines, a number of sculptors have already risen to fame using this technique, such as National Artist Napoleon Abueva and the famous artisans of Paete, such as Fred Baldemor.